Why does India need so much Coloniser Validation? /the Incredible India Ads feature Colonisers “rediscovering” India (Maharani of Manhattan). The Chinese don’t seem to have that attitude towards Westerners and Tibet received 30 millions in 9 months (imagine Kashmir getting those numbers). Why is everything always about colonizer; what if 50 million Chinese, Japanese and Koreans visit; will that be OK? Outside of UK who are the colonizers here? Point is that we have much to offer tourists; Tourist revenue of 2K+/person will work in providing low tech jobs. Hell, I will make 100o such videos if I can get 50 million people visiting India and at 2K, it is like 100 Billion dollars. It can all be colonizer $, as green is green if it comes from Colonizers or others. Today US and Bangladesh are no 2 and 1 in tourist arrivals. There doesn’t seem to be anything wrong with these ads. Considering the state of infrastructure, pollution, hygiene, and crime, India does well to receive as many tourists as it does. So any marketing that gets people to come here and spend is good. We obviously have a lot of potential but we’ll need to fix our country first. Btw Rajasthan Tourism does have a few recent ads with Mongoloid looking tourists. IIRC there was one such Incredible India ad as well some time back. because our intelligensia comes from oxford,harvard, etc. Scientists as well, but science has no authority. But journalism,history, entire humanities dept do have authorities, and that is west. Muthy classics is about translating sanskrit works. But not in India by indians,but by western folk in harvard. Essentially, we arent worth even translating our own work by our people in India. I would recommend a brand new book named “The Twice born” by Aatish Tasser. It talks about how irrelevant our so called “Indian intelligentsia” are. For years the hob nobed with the same “macaulayputras” and Harvard folks and badmouthed them behind their back, resenting their rise, and now after BJP’s rise they thought this is their time to have a place under the sun. Funny enough the Hindutva 2.0 doesn’t have much place for “Indic intellectuals” anyways and its powered through and through with material consideration and political power(in my view rightly). Serves this people right i say. Saurav, to be able to understand religion, spirituality, mind sciences, and consciousness someone needs to have a meditative mind and a highly intelligent mind. This is why most of the academic articles and books written by most indologists and academics are the sharing of confusion. What do you consider Hinduttva, Hinduttva 2.0 and “Indic intellectuals” to be? There are no indic intellectuals, because there is no indic pov at all. There is no funding, no autonomy. In general religious places can be a start for such enterprise but no autonomy for temples either. With out autonomy, you get zilch!. Also, bjp/rss dont want anyone . rss is afraid of others taking away their spot, they dont believe in giving autonomy because the success of rss/bjp has been because congress destroyed hindu autonomy. It is only when other options ended did rss/bjp could claim to represent Hindus and rise up. In essence, congress destroyed the competition of bjp/rss , all particularity has been flattened completely. And no, I wont read aatish or his mother. She is one of the persons who copied my ideas of criticism of nehru after i wrote to her on twitter after watching awful performance of swapan das gupta in 2014 in karan thapar show where all he could criticize nehru was for 1962 . Many humanities types are scrawling through twitter stealing ideas. I am doubting wendy doniger new book beyond dharma. I have always insisted Indic view was not just dharma, but also artha and kama as well. And she is giving spin on that take, I find that take strange at this age from that women after all that has been written. Another person people need to watch out for is ram guha. He wrote about lack of RW intellectuals, which was taken from my observation to him saying that we have no rw ecosystem at all, rss/bjp was just pure muscle with no brains. Believe it or not. Dont care for personal glory but people should know to be careful of 60yr+ old leeches whose brains are mostly dead and are bereft of ideas & hence looking at others to steal from . Lol. Look like you have gone through a lot brother. Anyway i do agree i feel Guha a bit overrated, funny thing is he gets brickbats from even the “Ambedkarites”. Also i would much rather have the current model, rather than those old pusillanimous Malviyas, Gopalcharis , Jadunath and Mazumadars. That’s the reason why Congress effectively smashed them. While Congress was destroying the competition this so called “Hindu/Indic intellectuals” were either compromised or complicit, serves this people and their followers right. Regarding temples you will not have autonomy because a vast majority of them still prefers state control rather than “upper caste” control. That can be dealt with from the get go. Make the distribution across castes.Its ok. Same thing with bjp /rss if they really are for Hindus and not for own greed and own view, they will immediately have rotation policy , sc/st,obc,uc for pm and cm spots compulsorily. That is all and they will smash others, but not gonna happen. As to congress smashing the old types, its because they were very powerful, they controlled country and purses, I heard jadunath had to publish his books by himself. Same with arun shourie 40+ yrs later. No publisher would publish their books!!! your criticism is unfair. You live in the West. 90% of the India gang commenting here lives in the West. Actions speak a lot louder than words. The West is richer, better organized and technologically more advanced. This usually commands attention. When India can make its own airplanes, microprocessors and OLEDs, we will not need validation from anyone else. In science and technology, objective yardsticks exist so can get out of need for validation. In humanities dept ,literature, history,journalism etc that is not guaranteed. A barkha dutt from columbia university will be a better catch than someone from some Indian university. In science, technology or even business, success is the measure by itself. Science,tech,business is evaluated by results. Humanities by peers only. I am reminded of this quote from John Adams. Perhaps we are in the technology and institution building phase. It will take time. That is a quote i have used many times as well and I believe in .However, In India’s case, this even is not mentioned by anyone at the top. Never mentioned. Lets make a clear difference between things that are mentioned and hence are ideas that have a chance to become true and ideas that we think are going to happen, but thats just our opinions. You are saying this, I am saying something else. However, what matters is do powers that be even mention this? It doesn’t need to be top-down as long as individual Indians are freely creating capital and resources. Bharti, Ambani, Premji etc all want to cement their legacy. Institutions are being built and more will be built as more Indians become richer. That said, isn’t the focus on ‘Vikaas’ exactly the thing we are talking about? 1)	For almost 200 years we have ‘discussions’ about Aryans, where they came from, who were they, have they brought Sanskrit to Hindustan, did they exist at all. 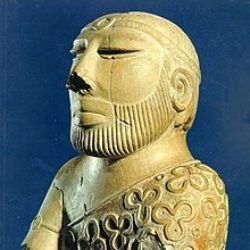 Western elites tried to leave perception that ‘supermen’ Aryans were their ancestors and used this as a weapon to justify their colonial practices. Hitler’s propaganda was the most extreme in this. Oxbridge and Harvard scholars produced tons of articles but they have not made significant progress. They invented many idiotic terms such as ‘Indo-Germanishe’ which after 100 years replaced by ‘Indo-European’, etc. Indian scholars got involved in these discussions. Many of them went to the opposite extreme, stating that Aryans did not exist, that everything originated in India, etc. R. Malhotra, even, in his speech in British Parliament asked English government to help him in fighting AIM proponents. Now, some of them are finding that origins of so-called IE languages are in Iran and Caucasus what contradicts their own OIM position. In several occasions suggested and provided evidence (archaeology, mythology, toponyms, language, literature, genetics, etc) that Aryans were Serbs and that Indian scholars should start researching this new paradigm. It would be a very new proposition that Indian scholars get involved in discussions with scholars from friendly nation which does not have any colonial pretensions and which does not have patronising and superior attitude toward Indians. However, still many Indian scholars fight AIM thinking that they fight for own national interests and against new colonisers and their racist views. I hope, that very quickly many young Indian academics will start to research this segment of history and produce hundreds of PhD theses, uncovering along the way falsifications in European history. I am happy to assist in this process and give them some starting points and potential directions in their researches. 2)	My opinion is that Indian and SA ‘intelligentsia’ which was mentioned in previous comments is still immature, regardless if they are coming from Oxbridge/Harvard or from local universities. They still did not come up to the terms of SA colonial past and what was happened during British rule. British committed enormous genocides in India, during 185 years killed 85 millions of people. They also committed genocides in America, South Africa, Kenya, Australia and other places. I do expect from some Indian intellectuals to raise their voice and publicly ask British parliament, British Government, Royal family, British people for apology for their past deeds in India. BP authors could start this process. No doubt, it is needed a great courage to do this. It would probably take several years of campaigning to achieve this goal. I am sure that this movement will be getting wider and wider. Or, the alternative option would be just to say – ok, let’s forget this and push under carpet. We will play dumb and maybe the next generation will have some sense that something should be done about this. The following link is an article about this in Serbian. Some readers may be interested to see few photos in this article, others may even use Google translate and read this article. State control is upper caste control. Upper caste Hindus control the Indian state. Sabarimala is an example of an adivasi deity that was brahminised under state control. State control is still comparatively better representive than total upper caste control of temples . In government you still have power sharing between other caste groups even though I agree it’s still skewed towards upper castes So the best bet is state control. What Adivasi deity is not also a Arya or Hindu deity? The idea that that there is a schism between Adivasi (oldest Jatis) and younger Jatis is without evidence in old records to the best of my knowledge. In the Ramayana, several of the most respected characters are Adivasis. Why is the state controlling religious institutions. Isn’t this a violation of separation of church and state? Shouldn’t the state either control every religious institution (including Christian, Jewish, muslim, Baha’i, Zorastrian, Toaist, Bon) or none? Why the discrimination against a religion? 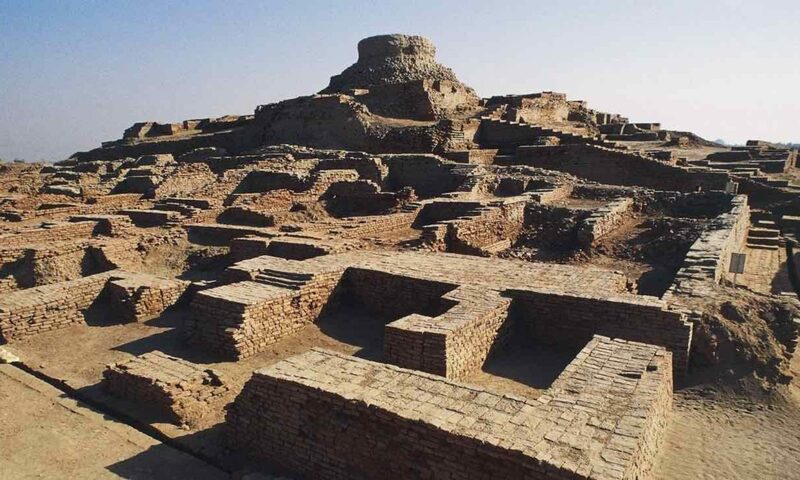 Is there evidence of a large pre Islamic empire directly controlling temples? Rajan, why is it wrong for twice born to run temples? Only qualified people should operate temples. From what I understand any qualified foreigner or A-Varna or Shudra can adopt the Dharma of a twice born (Sandhya Vandana, Yamas, Niyamas, Sandhya Vandhana) and be initiated with a sacred thread. Many institutions now initiate people into the sacred thread. If someone wants to operate a mandir or temple, isn’t it appropriate for them to qualify themselves and purify themselves with Varna Dharma and formally complete Dvija twice born ceremony? Everyone has the right to not complete a Dvija ceremony and exempt themselves from Varna Dharma. The great Brahma Jnaani, Brahma Rishi Guru Nanaka did just this. Sanyassis and Avaduttas do this. But why should temples be run by people who intentionally reject Varna Dharma? Here is a question for readers who live in India. Many Hindu institutions now give sacred threads to Avarna people. Then de jure in Arya parlance they are high Varna. And treated accordingly in Hindu temples, associations and spiritual organizations. How does this affect their ability and the ability of their progeny to obtain schedule class quota affirmative action? Aren’t Adivasis part of the original Arya people and have some of the most auspicious and respected Jatis? What do you think of Valmiki, Matanga, Shabari? What is the difference between Arya and Adivasi deities? Why is Ayyapa (son of Vishnu and Shiva) not an Arya deity? —- As gandhi said, it would be us having thoroughly aping the west in everything. We are going down the path of vikas but losing our self thoroughly. No one is even questioning western ideas or trying to check whether their ideas are truly universal or particular?. For example, is secularism universal or is it product of Christianity?. Same with Liberalism. I see xtianity as a virus and hence in order to deal with that virus, they had to have secularism. Romans, hellenics didnt need secularism. They needed truth. Secularism is moral dualism, being dr jekyll and mr hyde. Go and kill,loot engage in imperialism, come back with wealth , create more missionaries, now go convert and coolly say, xtianity has nothing to do with imperialism while the soldiers are xtians ,the consequences has been favorable to spreading of xtianity too but one has got nothing to do with the other. Its moral schizophrenia. By comparison, muslims are honest enough to admit this, In India it leads to wholesale confusion, the govt claims to be secular, supports church and even funds it, allows them to keep autonomy while denying to hindus and says in India secularism is to support all faiths. Nonsense. Liberalism, again a consequences of xtian thought control worldview. Cant take on xtianity directly, try to subvert it by endless explosion of ideas .doesnt matter whether its right or wrong, anything is ok . Whats the problem with this way?. It leads to active trolling in society and not lead to valuing “pursuit of truth”. In science, those who troll or try to publish religious works again and again are kept out of conversation. In society they are allowed to continue to influence society even if they are wrong and have zero interest in “pursuit of truth”. These ideas actually are helping xtianity penetrate other countries and expand if you see the consequences. And are leading to loss of sovereignty. While American shout and scream russians, this is what they do all the time. Also, russia has banned other versions of xtianity. It is old Hindu tactic – First be benign & mix the dominant narrative by mixing it with Indic religious narrative & diversifying it with local Indigenous narrative. Nobody can deny the Hindu influence in Sufi culture of Indian subcontinent which dominated most of the period of Islamic rulers of region. This transformation of religion the world confused with universality, globalization & secularization and during this period the world started practicing things like Yoga, dhyana aka zen and Ayurveda thus while not converting to Indian religious labels but yet became Indianized in many ways. What i am trying to say is that both sides look for each other’s validation to criticize each other because that’s how different communities interacts in the real world. More evidence that eastern philosophy greater influenced and inspired European Enlightenment. In terms of Buddism, Buddha never explicitly rejected Hinduism. The split happened many centuries after this passing. This devotees were treated as fellow Hindus. Buddha said Esa Dhammo Sananthano (This is Sanathana Dharma). This implies that Buddha has saying that this (his teachings) was Hinduism. Hinduism has not God and no absence of God but transcends both concepts. As does Buddhism. Buddhism deals with far more subtle elements than the 25 typical Tattvas (or maybe even 36 Tattvas of Trika Kashmiri Shaivism). Buddhism also focuses more on extremely subtle Samadhis within Nirvikalpa Samadhi. I was discussing how different groups interact with each other in real life & how terms like coloniser validation or appropriation creates misunderstandings among various groups. So i don’t know what are you on about like Samadhis or Tattvas etc. How would you define Hinduism and Buddhism? What do you think Hindus and Buddhists care about? Company is a powerful way to increase Sharira Siddhi, Chitta Shuddhi and Buddhi. Why would Hindus and Buddhists care about or be affected by this? Hindus and Buddhists care far more about the truth. There are no substantive differences between them except perhaps on very subtle levels of Samadhi within Nirvikalpa Samadhi (or some Buddhists might say beyond). And this too is only relevant to the one in a thousand humans who is capable of experiencing Samadhi at will. For all practical purposes, there are no meaningful differences between the various Darshanas other than maybe Chaarvaaka. But I don’t think even then. All of Sanathana Dharma is ultimately based on Pratyaksha Pramana or direct observation and direct experience. Every other method of knowledge are pre-school to get someone to the point of Pratyaksha. This is true for all the many darshanas (such as Buddhism, Jainism, Ajivika, Samkhya, Yoga etc.) and related philosophies such as Bon, Sikhism, Taoism etc. Perhaps this is part of the reason why the Dalai Lama (one of the greatest living Sanathana Dharma masters) says we are closer than twin sisters. We have issues but they are between us. [About Anatma, Atma, levels within and beyond Nirvikalpa Samadhi]. The post modernists and Marxists can try to turn us against each other. They will not succeed. Some say that believing every religion is true is hegemonic. But I don’t think so. I think every religion and their differences are true. Similar to a jigsaw puzzle. Our differences complement and augment each of us. We are one and apart at once now and always.